Jackendoff, Ray (2001): Foundations of Language. Oxford: Oxford University Press. Kap.5. 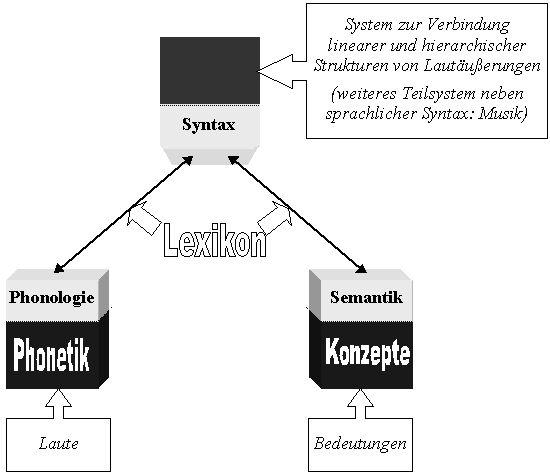 Wiese, Heike (2003): Semantics as a gateway to language. In: H. H?rtl & H. Tappe (Hg. ): Mediating between Concepts and Language: Processing Structures. Berlin: Mouton de Gruyter.